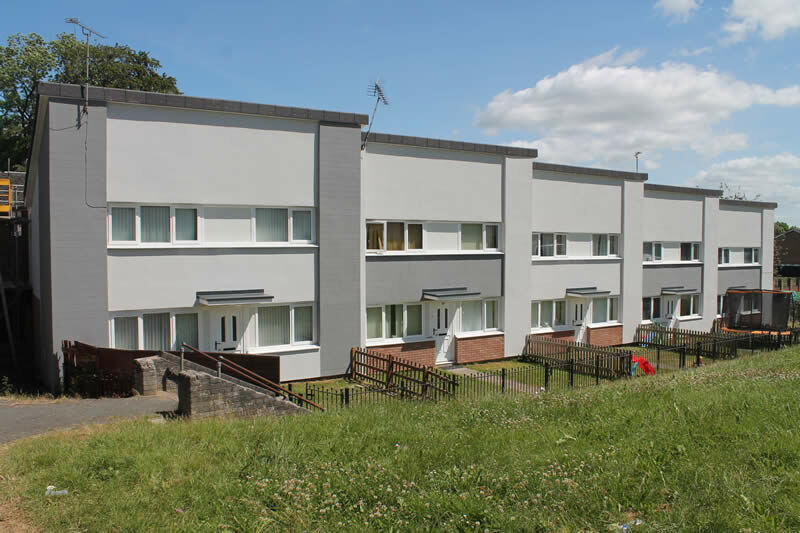 SBS is pleased to report good progress on Phase 2 of its ongoing re-roofing and solid wall insulation work in Plas Madoc in North Wales. 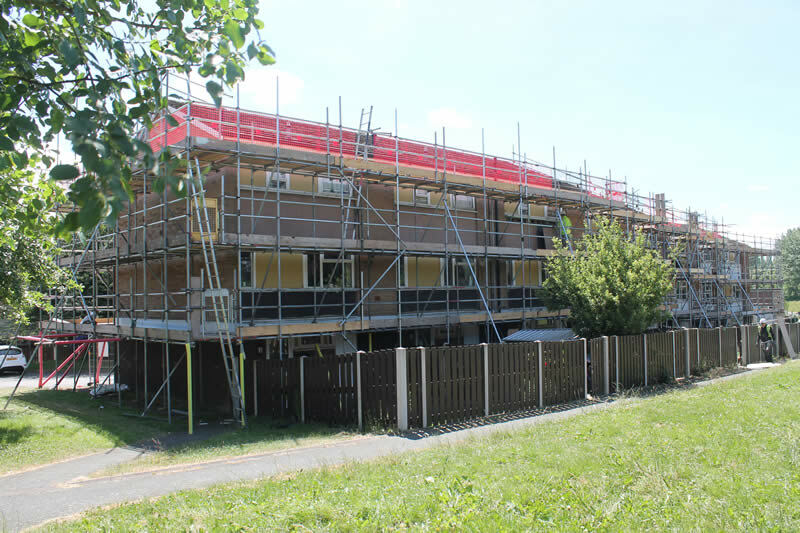 The work, which recently started, is being carried out on behalf of Wrexham County Borough Council. Customer satisfaction KPIs on these schemes were higher than those of all other contractors. On the strength of its performance on these and other schemes, SBS was subsequently awarded a place on the successor framework, and the current project is one of the first to be undertaken through it. 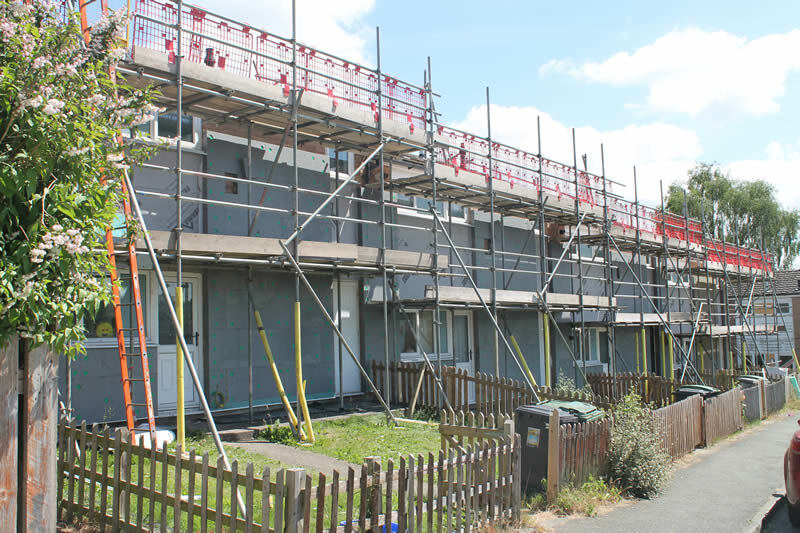 The present scheme entails a mix of re-roofing and solid wall insulation work to more than 200 properties. Approximately one quarter of these require roof-only works, while the remainder are having both their roofs and insulation improved. 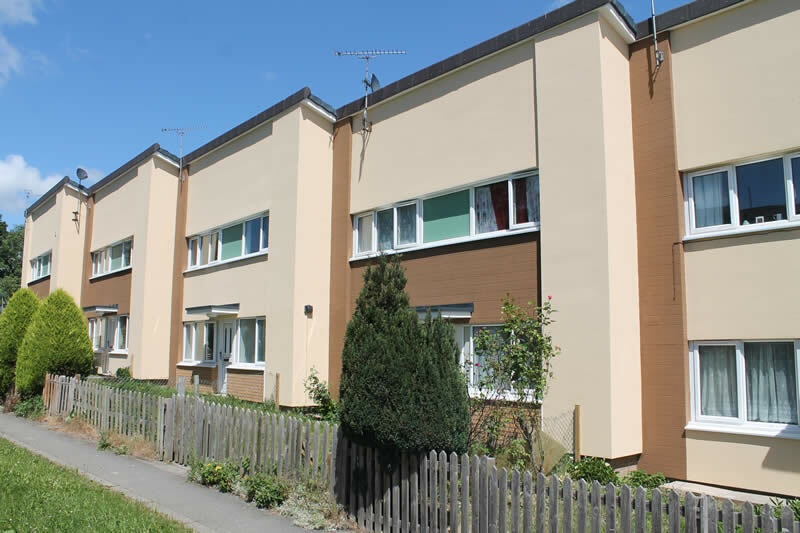 The EWI system is designed by Wetherby and comprises EPS insulation protected by a silicone render and a variety of brick slip finishes. 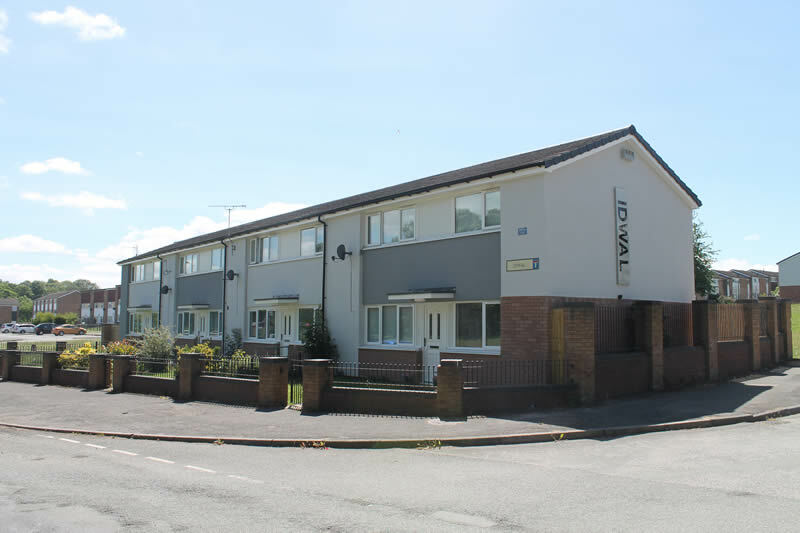 The scheme is being delivered on a rolling programme with around 40 properties being treated at any one time. SBS is using local labour and local site managers, and it has appointed a local Welsh-speaking resident as its tenant liaison officer. All customer information and documentation has been produced in two languages. Work is continuing on schedule and is due to be complete in the spring of 2019. SBS recently commissioned Suave Aerial Photographers to record progress on site via photographs and video, and the early results will be available for viewing shortly.